In order to thrive, genealogical societies must continually attract new members. We need to embrace changing technologies, unusual resources and new volunteers. Sometimes, that means engaging the newly retired. After all, baby-boomers are retiring in droves. Not only are they our newest members, but they are usually our newest volunteers. We also need to embrace the youngest genealogists, and not just those under 65 or even 50, but the young adults who will bring our organizations into the future. At the California Genealogical Society, most of our steadfast volunteers are between 65-80 years old. We also have a significant number of members and volunteers well over 80. In contrast, we have far fewer younger members. That's because younger adults are busy in different ways. They may be working, raising young children, attending college, or perhaps all three. They might only be able to volunteer on Saturdays, or from home, or on summer breaks. But we can't ignore them; they are the future of genealogy, and the future of our societies. What is your society doing to attract younger members and volunteers? Are you friendly? Do you make them feel welcome? Do you value their time constraints? Or their skills? Do you use text messaging, Facebook, Twitter or Instagram to communicate? Do you remember when you were the youngest member of your society? 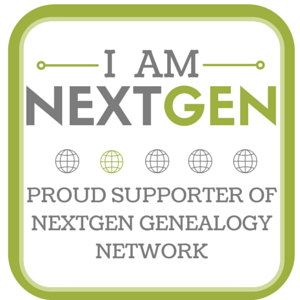 How does your group support the next generation of genealogists? Two of the younger members of the California Genealogical Society are Katie and Laura. They are engaging, warm, funny, and tech-savvy professional women. 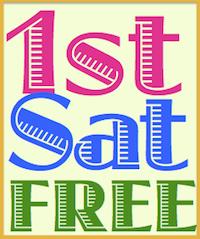 They are genealogists who teach classes and volunteer on our events team. And we are so lucky to have them onboard.